Thanks so much for inviting me to blog today, Carrie. This should be fun! Tell us a little about your debut release and what is unusual about it. KNIGHT OF DESIRE is the first book in my late medieval series, "ALL THE KING'S MEN". Most of the story takes place in the English-Welsh border region, known as the Welsh Marches, during the Last Great Welsh Rebellion. A lot of readers have commented that this was a new setting for them, that they were unfamiliar with Welsh Rebellion, and that the novelty of both added to their enjoyment of the book. Harlech Castle in Wales, where my heroine is held hostage for a time. Photo by Oosoom via Wikipedia. I also incorporate real historical characters into my books to an "unusual" degree. In KNIGHT OF DESIRE, my heroine has the good fortune to meet the most interesting men of her time. ;) She spies on her traitorous husband for her childhood friend, Prince Harry (later Henry V). Later, she is taken hostage by the devilishly charming Maredudd Tudor, a Welsh rebel whose great grandson will usurp the throne eighty years later. She also has a couple of interesting encounters with Tudor's cousin, the charismatic Welsh rebel leader, Owain Glyndwr (rhymes with "endure"), who inspired the twelve year rebellion. 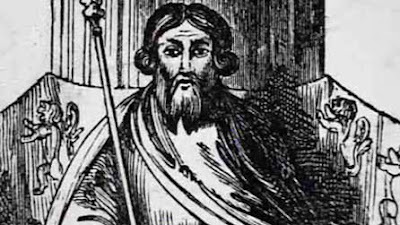 Owain Glyndwr, leader of the Welsh Rebellion. What led you to this setting and how does it influence your story? I had a story in my head that involved knights, castles and a forced political marriage, so I knew I was in the Middle Ages. That narrowed it down to a few hundred years.... Since my story had a theme of loyalty and I like a strong element of adventure, I went searching for a period mired in conflict and divided loyalties. What luck for me that Henry Bollingbroke usurped the throne from his cousin! Shortly after he took the crown, Henry faced rebellions on both borders and conspiracies left and right. I knew I'd found my year: 1405. So tell us a little about your hero and heroine. William FitzAlan is a battle-hardened knight. His honor is everything to him, for he has had little else to claim as his own. When his mother became pregnant by a powerful lord in the hope he would wed her, he instead pawned her off to marry one of his knights. She left William to be raised in his father's household , where his parentage was an open secret and his status was always uncertain. Now, after his many successes on the battlefield, King Henry is finally rewarding him with what he has always wanted: lands of his own. What he truly longs for, of course, are a home and family. But trust come hard for William. His mother's affair and abandonment have left him with a great mistrust of noblewomen and their motives. Lady Catherine is brave and fiercely loyal to those she loves. When the husband the king chose for her turns out to be a traitor, as well as violently abusive, she risks her life to spy on him and pass rebel plans to her childhood friend, Prince Harry. The king is neither grateful nor sentimental. The day her husband is captured and executed, he gives Catherine the choice of marrying the victor in battle or being imprisoned as a traitor's widow. Either way, he will grant her strategic border castle to the man he trusts to hold it against the rebels. 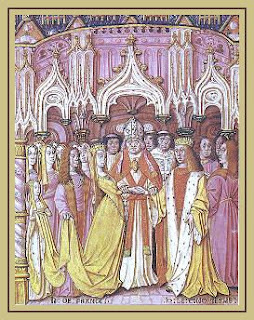 Catherine's first marriage was so perilous, that she might choose the Tower over a new husband...except she will not leave her young son. It's hard to choose, but I'd have to say the scene on the drawbridge at the beginning of the book is one of my very favorites. This was the first scene that came into my head; the whole story developed from here. Lady Catherine is waiting to hear whether her husband has been caught with the rebels, when a group of men-at-arms arrive at her castle gates. Since they carry the king's banner, she cannot refuse them entry. Still, she is suspicious. She warns the guards to be ready to drop the portcullis behind her if she signals, then ducks under it when it is half-raised to step out alone onto the drawbridge. Our hero, William FitzAlan, is among the men waiting on the other side of the moat. The king has granted him the castle and lands belonging to the traitor he defeated in battle that day. At long last, he has lands of his own. He has reluctantly accepted the second "prize" the king offers: the newly-made widow standing on the drawbridge. How could a woman share her husband's bed for years and still betray him to his enemies? She must have the loyalty of a snake. Jaded as he is, he is shocked when the woman falls on her knees to praise God upon hearing of her husband's death. When she likens marriage to William to hell, he is in full fury. Instead of being grateful to him for agreeing to save her by this marriage, she is ridiculing him! He charges his horse up onto the draw bridge. When he stares down at her from atop his horse, he recognizes her as the young lady he accompanied on a midnight ride years ago--and has dreamed of her ever since. (See prologue excerpt.) He will have her for his bride, for his desire for this achingly beautiful woman is boundless. But he knows he can never trust her. Yes. The hero of the second book in the series, KNIGHT OF PLEASURE, is William's half-brother, Sir Stephen Carleton. I'll admit it here; I adore Stephen. He was such a trouble-prone charmer as a youth in KNIGHT OF DESIRE that I knew he would make a great hero when he grew up. As with the first book, the setting for this one is a bit unusual. Most of KNIGHT OF PLEASURE takes place in Normandy, where Henry V (Prince Harry in book 1) is in the midst of re-conquering lands that once belonged to England. KNIGHT OF PLEASURE will be out December 1st--just four months from now. I'm busy wrapping up the third book in the series, KNIGHT OF PASSION, which is scheduled for release next June. The hero of this one is Catherine's son, Jamie, who is a toddler in the first book and a teenager in the second. Poor Jamie—Linnet, the French orphan he first met in book 2, is proving to be quite a challenge for him. ;) Various other characters from the earlier books reappear as well. Thanks so much for inviting me. I'd love to respond to comments! As Carrie mentioned, I will be giving away a copy of KNIGHT OF DESIRE to one of the commenters. She'll draw a winner in one week. Best of luck! 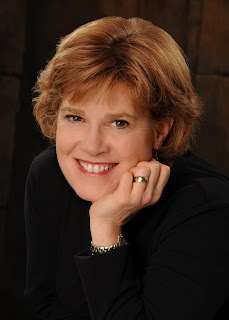 To learn more about me and my books, readers may want to check out my website. I'll be starting a new contest this week. To enter it, just sign up for my newsletter from my website.